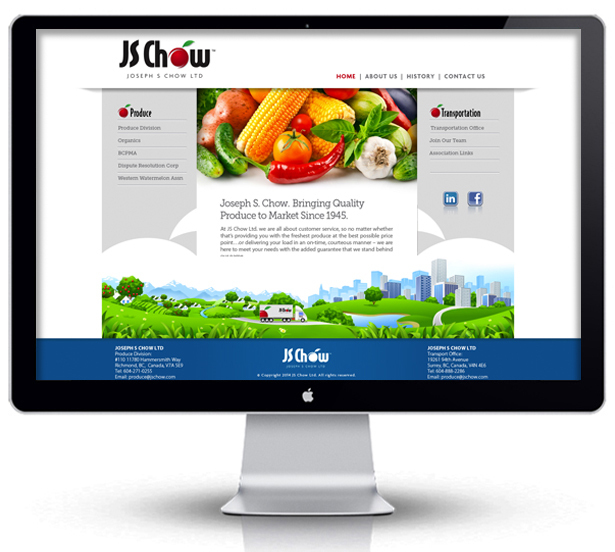 The JS Chow logo and website reflect a strong and colorful brand for this produce transportation company. My strong interpretive style is evident in the bold colors, font and illustrative style of the logo. Colorfully illustrated images of produce are displayed on the site with the logo/brand displaying a friendly and fresh identity. I used my illustration technique to demonstrate how JS Chow moves its product from the produce growing interior to the cities that are the consumer base.